I know that I told you last week (when you so sweetly asked) that I didn't want anything for Christmas. And I meant it. I really don't want anything. Especially not any THING that is going to become one more thing that I have to pick up or dust or wash or fold. But here's the thing...that doesn't actually mean that you should just check me off your proverbial list (I'm assuming you probably don't actually have a list since I generally take care of all the Christmas details anyway). I don't really want any things, but there is something that does make my face turn into a bawling mess at any time of year: being reminded that you see me and how much I love you, that you appreciate me, and that you love me too. This will get me every time. The gift that you ask me to choose and/or order myself. The fancy jewelry that I never go anywhere fancy enough to wear. Please don't waste your hard-earned money on this. The impersonal electronic gadget that you secretly wanted for yourself and you're hoping I'll let you borrow. But if you really want to knock my socks off at Christmas (or any time of year), here are a few suggestions for things that will make my life easier and/or sweeter. For most of us, time is the most precious commodity we're dealing with. Between differing work schedules and other commitments, it sometimes feel like we hardly see our husbands. And when we are together, our children are each vying for our attention too, making it very difficult to have even one complete conversation. For many busy moms I know, a simple date night out of the house with her husband would be a more than ample Christmas present. An extended date would be even better. Plan a special evening together, take care of finding the babysitter, and celebrate the joy of the season—and the end of another year—with a luxuriously peaceful conversation. I recently saw a poll that asked moms what they would do if they had a free hour at home alone. The top two answers were sleep and clean. For many of us, no matter how many times a day we sweep the floor or wash the dishes, the house never feels clean enough. A clean house, therefore, is one of the best Christmas gifts for moms who do too much. If you're short on cash, this is the best gift you can give your mom this Christmas. Send her off to a coffee shop or a movie for a few hours and put on your rubber gloves. Head over to Pinterest and grab a printable housecleaning checklist, throw on your favourite playlist and get to work. Amazon is now in the business of procuring local services and sending them to your house. This is probably the coolest thing ever (coming from a mom who hasn't seen a clean house in eleven years), and I'm so sad that this service is not yet available in Canada. Amazon has taken all the work out of finding high quality home service providers. Their database of providers is pre-screened (including background and criminal record checks), insured, and licensed (where applicable). 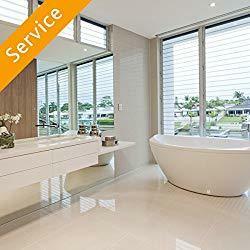 Simply visit the Home Services website, enter your zip code along with some details of your request and Amazon will match you with a housecleaner in your area along with some available time slots. Payment is handled automatically from your Amazon account. It does not get easier than this. If you decide to get someone in to clean the house for a Christmas gift for Mom, please don't ask her to find the cleaner herself. One of the most laborious parts of hiring a cleaner is finding the cleaner. Take the work out of this gift by finding and booking the cleaner(s) yourself. Ask around to see if someone you know has a recommendation or do a Google search and read through the reviews carefully. There's a good chance that if you skip this step, Mom will just feel like one more task has been added to her to-do list. Recently, some friends and I went to a Scandinavian spa that didn't allow any talking. For four hours, we relaxed in saunas and pools, sat by fires and read books, and napped in hammocks without a single noise to disturb us. I'd never really experienced that kind of silence before (or since), but those few hours were heavenly. You don't need to send your wife or mom to such a place if it's not in your budget or if there is none near you, though if you can, I'm sure she'd love it. It could be enough to arrange for her to spend a night taking a personal retreat at a friend's house, or an afternoon hiking by herself. Ideally, it would be best to find somewhere for her to experience this auditory rest other than at home; the home is filled with so many distractions and things we need to do. It's hard to fully relax there without wanting to get things done. Let's say none of the above options are possible this year, or, perhaps you still want to have something physical that you can wrap up and give her on Christmas morning. The best bet would be something that would make her life easier. Think about the tasks that she least enjoys and try to find a way to make them easier or to at least give her a break from them. Here are a few suggestions to get you started. Busy moms need a way to keep track of life—not just our own, but everyone else's too. A good planner with plenty of room to write down everything that everyone has going on is the essential tool for maintaining sanity. Like the name says, this planner is brilliant. 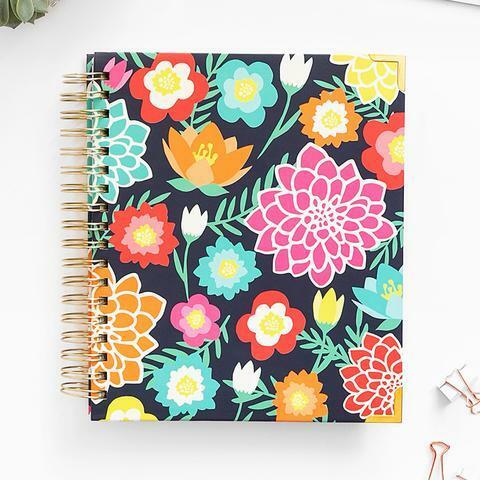 Not only will it help mom keep track of her schedule, but it also has space for her to jot down the things that often get overlooked, like what she is grateful for or who she can encourage. The planner also comes with many bonus products: a fillable and printable digital copy of the Brilliant Business Planner and the Brilliant Life Planner, the PDF version of Time Management Mama, bonus printable planning pages, and entrance to Planner School, an online course that shows you how to use your Brilliant Life Planner. I've been a big follower of Brilliant Business Moms for about a year now, and I love everything they put out. Beth Anne's products are thoughtful, beautiful, and meticulously planned. The focus of the Living Well Spending Less Planner is really on taking control over your time, rather than letting it slip by. 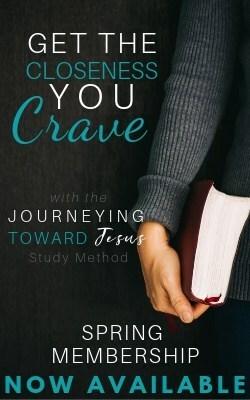 Its author, Ruth Soukup, is a huge proponent of intentionality and goal setting, and these values are reflected in her signature product. 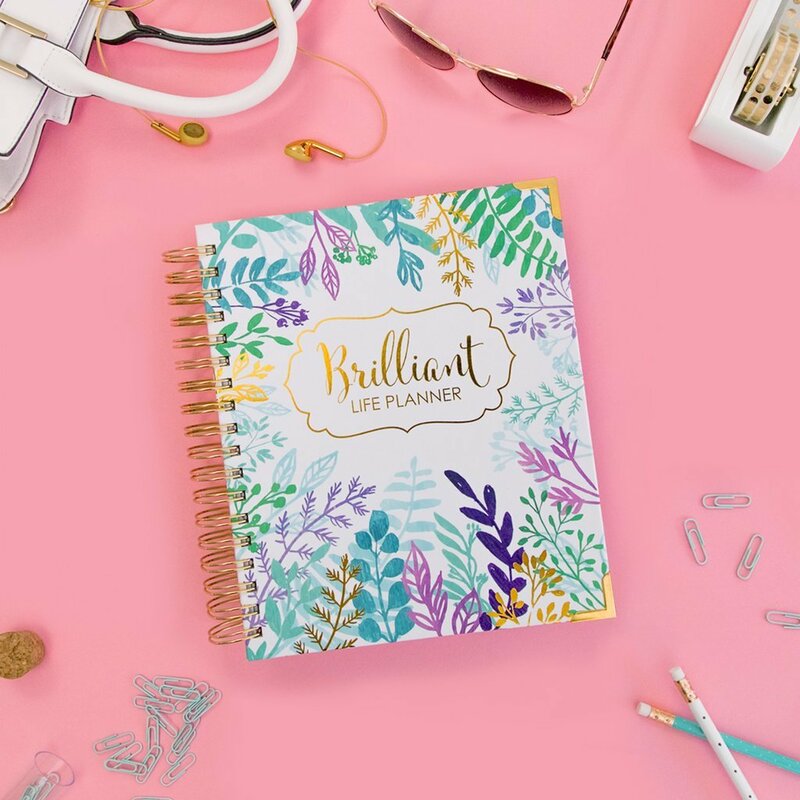 If your mom is a goal-oriented woman, this planner will make her heart sing. Space is provided for planning long-term and monthly goals, and LWSL offers their 'Crush It' formula for helping her achieve those goals. This planner also includes enough room for hourly scheduling so that mom doesn't waste a minute of her time, and there are also sections for budgeting and project planning. 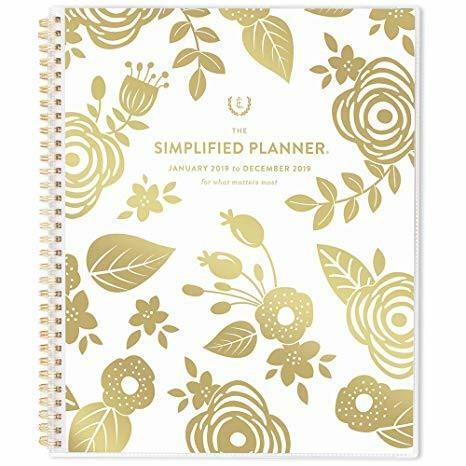 If your mom is not as focused on goals as she is on simplifying her life, a Simplified Planner from Emily Ley may be a better option for her. These planners come in a multitude of colourful designs and have fewer sections than the previous two planners. The focus here is on simplifying life as much as possible. The planner includes information on how to simplify life as well as a simplification challenge. I will be honest: I have a love/hate relationship with subscription boxes. I love them because a) they're so much fun to receive, b) they're great value, and c) you find out about a lot of great products. At the same time, if you don't choose wisely, you can end up with a bunch of stuff you don't need or want, and that's not good for anybody. I have found, however, that there are a few services particularly worth subscribing to. 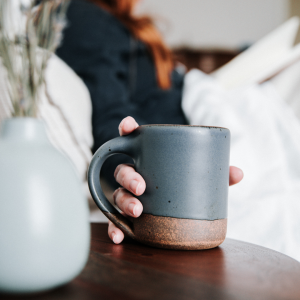 For busy moms, particularly, any box or service that will simplify her life and help her free up time to rest or connect with her family is a win. Here are a few of my favourites. Style Challenges were a game changer for me. I used to buy clothes indiscriminately—only when I had to or if something pretty caught my eye–with no sense of whether they would work with what I already owned or if they even looked good on me. The result was a closet full of clothes that I didn't even like, and a lot of frustrating mornings where I just wanted to climb back into bed to avoid the stress of having to find a decent looking outfit. I started participating in Style Challenges last winter, and I literally never have this problem anymore. Each season, you get a shopping list for a flexible capsule wardrobe along with a month's worth of suggestions for how to pair the items. 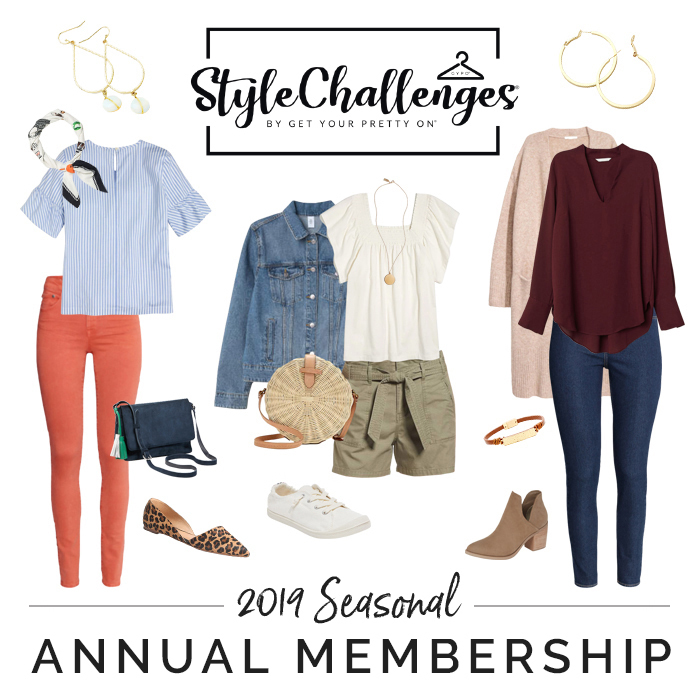 (I know this sounds like you'll be setting your mom up for a year of having to buy new clothes, but a lot of the pieces are reused from challenge to challenge, so once you have your basics in place, you really don't have to shop much at all). Memberships are available in quarterly and annual versions, and you can choose from either the casual wardrobe, the workwear wardrobe or a combination of both. If the busy mom in your life is an introvert in need of some self care, the Wallflower Box is the perfect gift for her. This box is designed for introverts or anyone who enjoys a simple, quiet lifestyle (or longs to, because let's face it--that just isn't a reality for most moms these days!). Each Wallflower box is filled with goodies such as bath and body products, books, cozy apparel, notebooks/journals, beauty, jewelry/accessories, delicious snacks, and special gifts selected with the introvert in mind! All bath, body, and beauty items are natural or organic. Even if you're not able to order your gift in time to receive the December box, you can still put a special card under the tree for mom and let her know that your gift will come as a special surprise in early January. 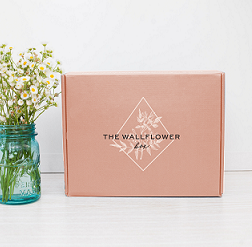 Learn more about the Wallflower Box. The FabFitFun box makes it feel like Christmas morning all year round. These boxes are loaded with seasonal goodies from many different high-quality brands. Items in past boxes have included: candles, planners, jewelry, clutches, make-up, skin and body care products, water bottles, travel mugs, and blanket scarves. My experience with FabFitFun boxes is that I usually adore about 80% of each box and whatever I don't adore, I gift to friends and family who might appreciate them more. Win-win. 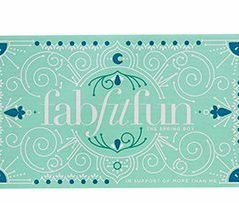 Check out the FabFitFun box and get $10 off your first box. This is seriously the best gift ever. Especially for moms who stay home with kids all day and are basically cooking one meal or another at any given point in time—please treat us to a day or two off! Obviously, you can take over the cooking yourself, but if that's not an option for you, here are some alternatives that busy moms will love. 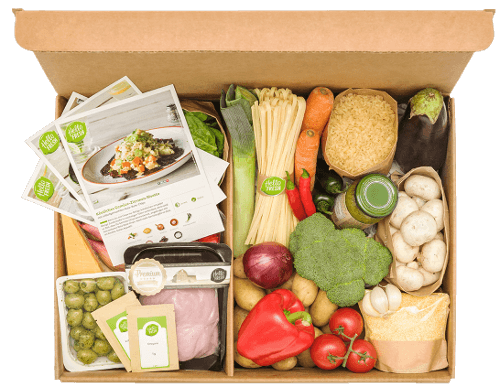 HelloFresh delivers prepped meals to your door. 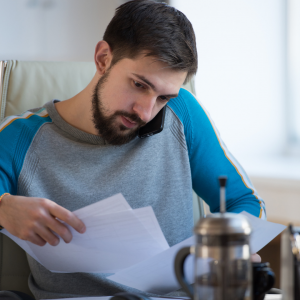 There are several plans available including Vegetarian, under 30 minutes, and family plans. All ingredients (save the veggies) come pre-measured and ready to go, taking most of the work out of meal prep. There is still a bit of cooking to be done, so make sure you're planning to be home on the nights that you've got HelloFresh scheduled so that you can put the finishing touches on the meal. In the US, HomeChef is another great option. Select your own meals from their ever-growing menu, select your desired dates, sit back and relax. As with HelloFresh, your meals will come pre-prepped and you can simply throw together a delicious meal that the whole family will love. One thing that quickly becomes tedious as a busy mom of young kids is constantly remembering to pack snacks (not to mention remembering to eat healthy snacks ourselves to stave off that 3pm chocolate craving). 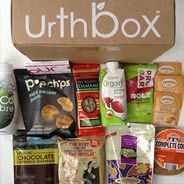 UrthBox is a cool subscription box that sends healthy snacks to your door each month. There are four sizes of snack boxes available in a variety of dietary configurations. I would love to just have this box in my car for every time the kids whine about being hungry on our way home from another activity. (Or, you know, for secretly devouring the snacks in the car while I wait for the kids). Ultimately, whatever you decide to go with, know that it's not the amount you spend or the grandiosity of your gift that matters to the busy mom in your life. 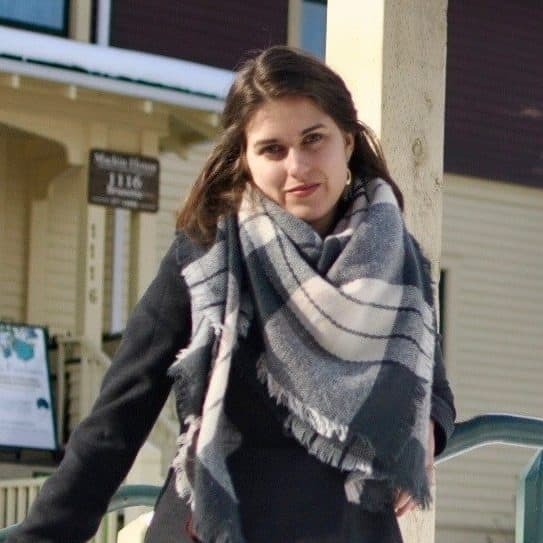 More than anything, she would love to spend the holidays connecting with the people she loves most in meaningful ways. If your gift shows her that you notice, appreciate, and love her, it's the best one you can give. Moms, what did I miss? Is there something else that should be on this list? Add it to the comments below in case other readers need more ideas!